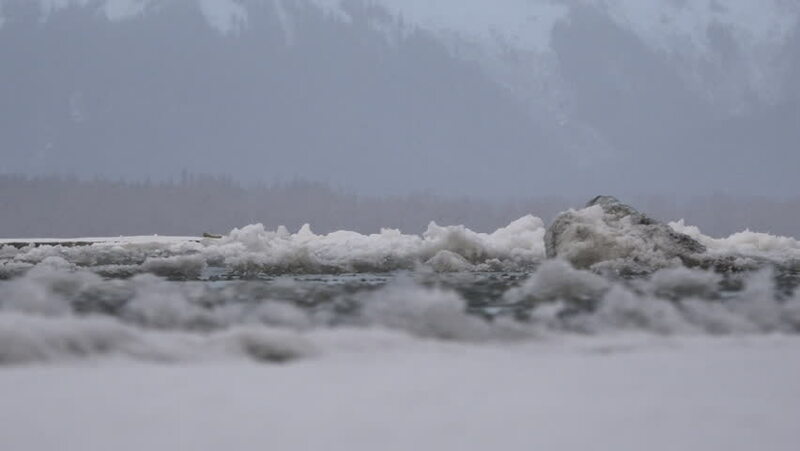 Early winter ice building silently and strong on Alaska river low shot. 4k00:204K Drone shot skimming across frozen lake toward a rocky island. Overcast cold sky. Snowy landscape.